Mark Peters recently interviewed me for a column on Norse mythology and the Ásatrú religion that he was writing for The Boston Globe. He asked very interesting questions about the allure of Norse mythology today, about the appeal of Ásatrú, and about the influences of the Norse myths on modern culture. Since Mr. Peters was only able to use small segments of my answers in his relatively short column, I am posting his questions (in large bold type) and my full responses here. I hope that something I wrote is interesting to you! You can read the column in The Boston Globe by clicking here. On a literary level, what do you think, at bottom, is the appeal of the Norse myths to so many readers, writers, artists, etc.? What makes them such fertile ground for novels, comics, etc.? Iceland officially converted to Christianity over one thousand years ago, but the pagan myths that were preserved in writing by thirteenth-century antiquarians of that northern island nation continue to inspire people around the world today. After all these many centuries, the undying appeal of Norse mythology works at three levels – dramatic, emotional, and spiritual. At the dramatic level, the Norse myths are exciting tales of high adventure that are filled with mysterious yet unforgettable characters. In the long ago time, the first gods slaughter the primeval giant and shape the world from his enormous corpse. They set the celestial bodies on their courses, create dwarves from earth, and make humans from trees. Across the mythic timeline, Thor protects us from threatening giants and trolls, Loki gets up to all sorts of wicked mischief, and Odin travels throughout the nine worlds seeking mystic wisdom. At the end of time, the gods and giants fight their final battle at Ragnarök (“doom of the powers”), and the world is destroyed before a new one with new gods rises once again. This wealth of dramatic material has provided inspiration for generations of fantasy novelists, comic book artists, opera composers, and metal bands. At the emotional level, the myths resonate in deep places of our inner world. We see ourselves in the gods, or we see the gods in ourselves. Many of the deities express an exuberant excitement of the experience of existence. The twins Freyr and Freya (“lord” and “lady”) are radiant and beautiful. He is the ruler of the world of elves, rides a golden glowing boar, presides over prosperity and peace, and sends both rain and sunshine. She rides a chariot pulled by cats, flies through the air on falcon feathers, loves love songs, and is greatly interested in love affairs. Another god, Heimdall (“world tree”), is likewise bright and glorious. His horse's name and his own teeth are golden, and his residence – the “castle of heaven” – stands by the rainbow bridge. He guards the worlds with hearing so fine that he can hear grass growing in the fields and wool growing on sheep. 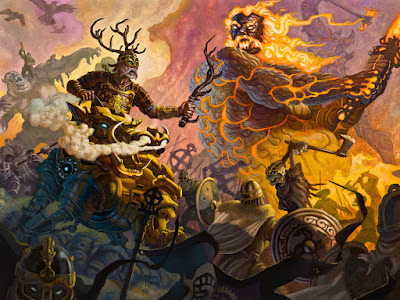 These are not the violent Viking gods of the popular imagination. Those who take the time to really read the myths meet a host of inspiring figures with whom they may feel a deep emotional connection. 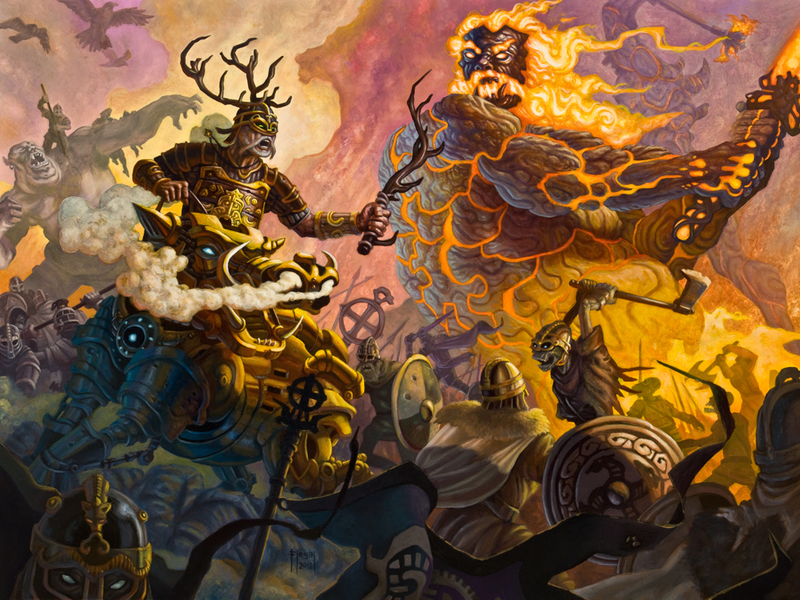 At the spiritual level, readers of Norse mythology encounter a incredibly powerful worldview. As he wanders the worlds seeking knowledge of the future, everything Odin learns from powerful prophetesses, ancient giantesses, and reanimated wise women confirms that he and his world will perish. In contrast to the gloomy Nordic worldview often portrayed in popular culture, the wandering god never stops searching for knowledge and never ceases to rage against the dying of the light. The old gods may die at Ragnarök, but the myth is life-affirming. We will not live forever, but our children will survive us, and their children will survive them. The branches of the World Tree will continue to grow as new leaves appear each springtime. This optimistic view of the ongoing growth of life in the world, of hope and light amidst threat and darkness, can speak powerfully to modern people at a primal spiritual level that remains unaddressed in much that we experience in our lives today. I'm just learning about the Ásatrú religion. Like most religions, it seems to have people who find comfort and wisdom in it and those who pervert it to support hateful ideas. What would you say is the appeal of Ásatrú in both cases, for well-meaning people and for white supremacists? I can’t speak for other members of what is an incredibly diverse set of communities in a large collection of related religious traditions, but I can tell you what first attracted me to Ásatrú. I was raised by two philosophy professors not to be religious, but to know the myths of the religions that largely shaped Western art and culture – Greek, Roman, Jewish, and Christian. I read Thor comics as a kid, but it wasn’t until I was an adult that I sat down and read the original Norse myths in their entirety. I immediately saw my father – death camp survivor, philosophy professor, and teacher of human rights – in Odin, the god who endlessly seeks wisdom. I saw my grandfather – farmer, bricklayer, quick to anger and quick to laughter, lover of children and dancing – in Thor, the god of the common man. In the pagan poetry, I did not find answers to the big questions of life; what mattered to me was that poets over a millennium ago were lying awake at night, asking the same questions that keep me from sleeping. I’ve heard several practitioners say that they were always Heathen, but they just didn’t realize it until they read the myths. I’d say that’s true of me, too. All religions have extremists clustered at their fringes. For the Heathen religions, there is a group of folks who try to blend Norse religion with the newly resurgent white nationalism that is rearing its ugly head in many countries right now. Historically, such people have joined groups allied with Protestantism – like the KKK – or with extreme sects like Christian Identity. 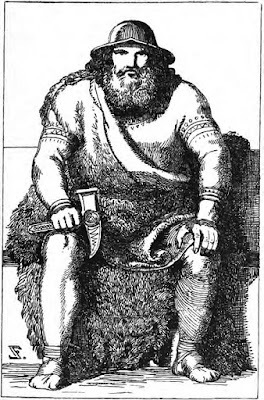 In recent years, their gross anti-Semitism has led them to denounce Christianity itself as a Jewish ideology, and they have turned to Ásatrú as something supposedly more “white.” This has horrified members of the Icelandic religious organization that began the Ásatrú revival, who want absolutely nothing to do with this hateful ideology. I’ve been accused of working with the head of the Icelandic Ásatrú group to turn the religion gay and Jewish. So, the hang-ups these trolls have are those typical of the generic hate groups springing up in the U.S. and abroad. They’re just using Thor's hammer in place of a burning cross. Maybe they’ll move on to UFOlogy in a few years. Why not? Some of them already believe in Nazi myths of Atlantis and secret cultures inside the earth. On a less heavy note, are there any influences of the Norse myths in language and/or culture that most people would not be aware of? The influence of Norse mythology is all around us. The Marvel comics and movies are the most obvious, since they pluck characters and plots directly from the myths, before transforming them in what Stan Lee long ago called “the mighty Marvel manner.” I repeatedly remind my readers and students that he and Jack Kirby created their own mythology of Thor, and many of its core elements and relationships come from their imaginations, not from the original mythology. Other influences are just slightly less obvious. 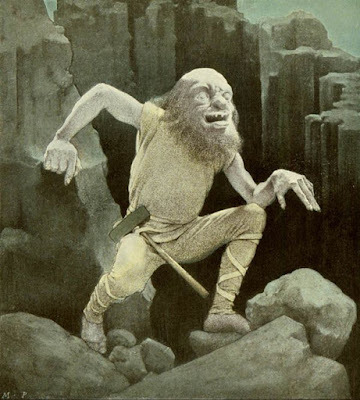 Many people believe that Richard Wagner’s Ring operas are based on German myth and literature, but he almost exclusively used the Norse mythology preserved in Icelandic literature and simply Germanified the names as part of his nationalist agenda. J.R.R. Tolkien made a similar move, incorporating elements of Norse mythology into The Hobbit, The Lord of the Rings, and the texts that became The Silmarillion, but he changed the names and obscured the sources in pursuit of an original work and the nationalist project of “a mythology for England.” The influence of those two titans is so pervasive that parts of Norse mythology have spread throughout modern culture without people being aware of the ultimate source. Both Wagner and Tolkien created brilliantly original works while raiding Icelandic sources for their own purposes, but we shouldn’t whitewash the darker elements. Despite his postwar denials, Tolkien himself lifted Wagner’s anti-Semitic characterizations of the Old Norse dwarves into his own work. The entire fantasy genre is largely a reworking of Tolkien's reworking of Norse mythology (with its embedded Wagnerisms), as are old-school role-playing games like Dungeons & Dragons and newer digital games like World of Warcraft. When modern creators want to break free of the chains of Tolkien influences, they often turn to the same myths that inspired him. Norse mythology is a well that never runs dry. I do hope that critical readers are able to separate the source mythology from its later forms, with all their positive and negative alterations.